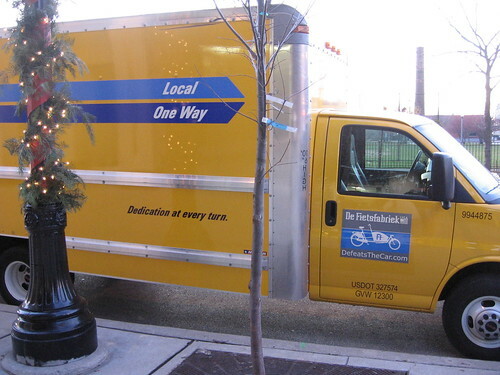 Earlier this month De Fietsfabriek-USA packed up the truck in Chicago and hit the road heading west along Route 66. In October I wrote about their Grand Opening party. And now they’ve reached southern California! So, for all of our bike commuters and bike lovers on the west coast, please look out for Jon Lind and his fleet of Dutch bikes. He will have the bikes on display and available for test rides this Saturday – TODAY! – at Orange 20 Bikes (corner of Heliotrope and Melrose in east Hollywood) from noon until 6 pm.